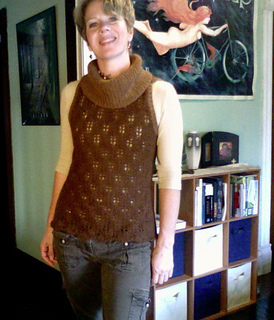 A Tunic-Length Sleeveless Cowl in Malabrigo yarn. Ooh - gotta love that Malabrigo Worsted! 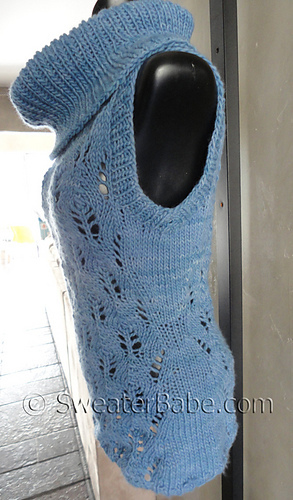 It has amazing yardage and is sooooo soft to work with! 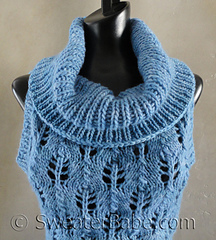 The yarn is heavenly on slightly larger needles, allowing the true softness to come out. And there is still wonderful stitch definition. The beauty of the hand-dyed color also comes through. 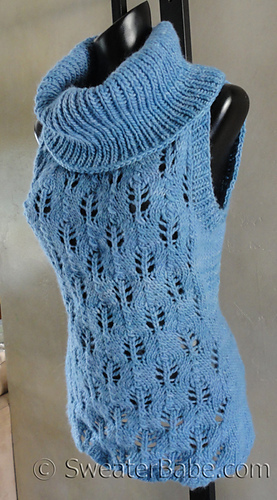 The Sleeveless Cowl is knit from the bottom up in one piece. 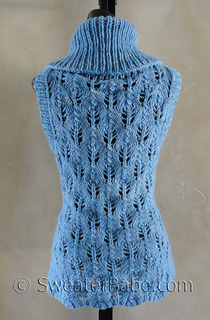 The lace stitch is easy to work and creates a beautiful all-over open lace look, as well as a naturally scalloped hem. The waist is shaped to further emphasize the long and lean look. 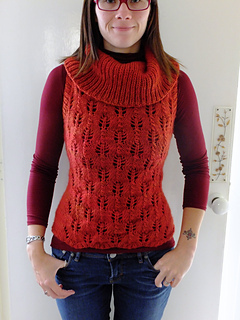 The front neckline is shaped so the generous ribbed cowl can fall forward on the neck in a most flattering way. AND, it only took 3 hanks of Malabrigo for the 2 smallest sizes! !